In the book In the Beginning ... God Created we saw how the first chapter of Genesis was not so much about the creation of the universe as it was of the creation of the mystical Christ. In this sequel, we know that a generation is a stage of development. Everything God created He did so with the plan of it developing. Scientists are aware that the universe is increasing, getting larger all the time, but do not understand why. Planets and stars tend to move to the outer perimeter. Why are the heavens spreading out? It is because God created His work for making. 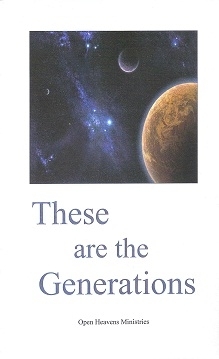 The same is true for the spiritual heavens and spiritual earth. He placed a Word in His creation and it does not return void. That Word will perform the good work God has planned for your life.